Thank you for your interest in nominating your local community group for Local Voices! Local Voices is a project that gives the Pilbara community an unfiltered voice in Rio Tinto’s operations. As a ‘thank you’ for taking part, Local Voices is offering rewards in the form of cash donations to nominated not-for-profit community groups. Community members from Paraburdoo, Tom Price, Pannawonica, Karratha, Wickham, Roebourne and surrounding districts are invited and encouraged to participate. For each monthly survey, four tokens are awarded. Participants allocate their tokens to an eligible not-for-profit community group, and when the group has 1000 tokens Local Voices will convert them to $500 cash. Alternatively, the community group can cash in tokens pro rata if they haven’t yet reached 1000 tokens. For example, 500 tokens would be equal to $250. Nominate your local community group here! We are seeking nominations for community groups to benefit from the rewards program. Eligible community groups must be not-for-profit and operating within the Pilbara region. Examples include schools, charities, sports clubs or other community organisations. Please see the full eligibility criteria in the Local Voices Rewards Program Terms and Conditions, then click 'Continue' to nominate your group. To nominate a group, you must be an authorised representative of the group. Authorised representatives of community groups are free to unsubscribe their group from our rewards program at any time without prejudice or penalty. 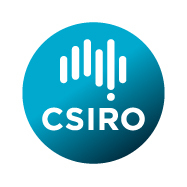 Simply send an email to localvoices@csiro.au with the subject 'UNSUBSCRIBE COMMUNITY GROUP' with the details of the group you wish to unsubscribe and they will no longer receive reward tokens or project updates. Register your community group now by clicking on the 'Continue' button below.